Minister for Foreign Affairs Timo Soini will host a joint session of the Presidential Committee of the Parliamentary Assembly (PACE) and the Committee of Ministers Bureau of the Council of Europe in Helsinki on 3 April 2019. Finland will support Mozambique’s recovery from the cyclone that hit the country in mid-March through the Finnish Red Cross and the United Nations Central Emergency Response Fund (CERF) and by providing technical assistance. Today, UN Secretary-General António Guterres' High-level Panel on Digital Cooperation and the Global Tech Panel convened by EU High Representative/Vice-President Federica Mogherini will hold a landmark joint meeting in Espoo, Finland at the invitation of the Ministry for Foreign Affairs and in cooperation with Nokia. 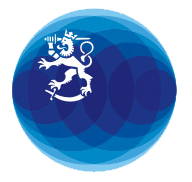 Consultancy company Ramboll has completed its study of the prevention, handling and follow-up of cases of harassment in the Foreign Service. The results were presented to the Ministry's personnel on Tuesday 26 March. Showing 1 - 10 of 1,172 results.